Voice over Internet Protocol (VoIP) allows people to make voice calls by using a high speed internet connection instead of a regular phone line, and cuts down on traditional phone costs. ARC Consulting Group offers customized VoIP services for businesses. 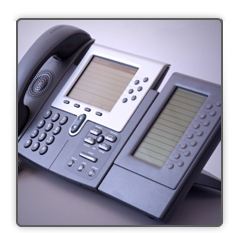 Let us engineer the perfect VoIP service for your business. For more information and pricing please contact us at (910) 425-0942 or by email to support@arccgi.com. ARC Consulting Group installs voice and data cable to include Cat 5e, Level 7 (Cat 6), fiber optic and wireless connections. We use only the best materials to insure that your network has a long life span. Network Cabling provides the connection for your company to access data internally and can give you access to the outside world via the Internet as well. We use a minimum of Category 5e wiring and up to the latest Level 7 (CAT6) wiring which is designed for Gigabit Ethernet. This form of wiring is fast ,efficient and economical for todays network. It is only superceded by fiber optics. This advanced technology further frees the flow of data travel and adds a marked level of security that exceeds a copper solution. This solution is great for connecting multiple locations in close vicinity to each other and used for covering long runs over 100 meters. This gives you the opportunity to connect two or more buildings to the same network and share data and an internet connection as well. This solution is also used in buildings that are too difficult to cable properly without sacrificing speed and security. This solution is also used in relatively open spaces with high concentrations of workstations or laptops. We also install telephone wiring, making sure that your telephone system operates as efficiently and reliably as your computer network.